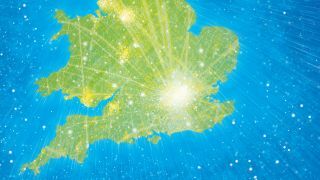 If you're a live in an area with a thriving business community, then your area could be a candidate for the business equivalent of the Eurovision Song Contest. The Government's Department for Business, Innovation and Skills is looking for businesses and communities to take part in a nationwide competition that will see a town, city or area crowned as the country's most enterprising place, and who will then go forward to the European Enterprise Promotion Awards in Nicosia. The winner will be the business and the location that can show itself as a hotspot of innovation and somewhere that is boosting local business and nurturing budding entrepreneurial talent. "There are some fantastic enterprises across the UK that are starting up and growing to become real forces in business. Despite the difficult economic conditions, there are many entrepreneurs willing and able to make their business a success, helping to boost the economic growth of their local area and the UK. "We want to make 2012 the year of enterprise. This is a great opportunity for local authorities and businesses to come together and show that they are creating a vibrant environment to allow enterprise to thrive." The most enterprising place in the UK. The organisation that best promotes enterprise. The organisation most successful in encouraging businesses to export. Two of the three winners will go on to represent the UK at the European Enterprise Promotion Awards in Nicosia, Cyprus on 15 November 2012, during Global Entrepreneurship Week. Previous UK winner, Scarborough, went on to win the European Grand Jury Prize in 2009. Enterprising Britain is free to enter and is open to all places in the UK that can demonstrate the impact enterprise has had on their community in the past two years. To register interest email your contact details to enterprisingbritain@bis.gsi.gov.uk. Entries must be submitted by 30 May 2012 and the winners of each category will be announced on 16 July 2012.